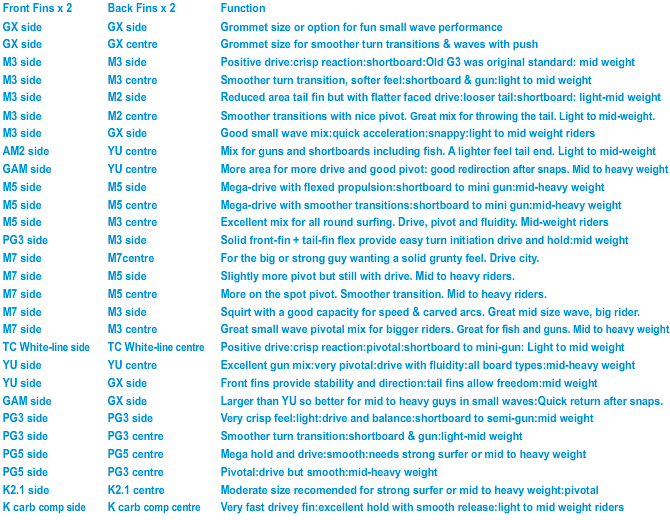 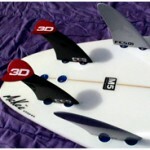 The June 2012 formula update, provides refined rear-fin direction measurements, more in accordance with the sweeping radius, focus-point concept. 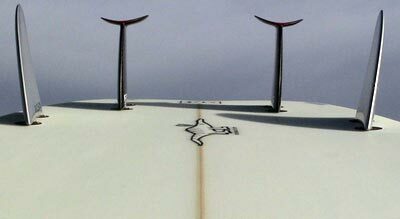 For pintails add 0.5 cm (3/16″) to back side fin distances. 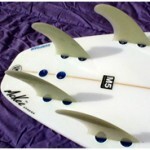 Fin positioning is based on tail area in relation to the`Sweet Spot’ of back foot placement. 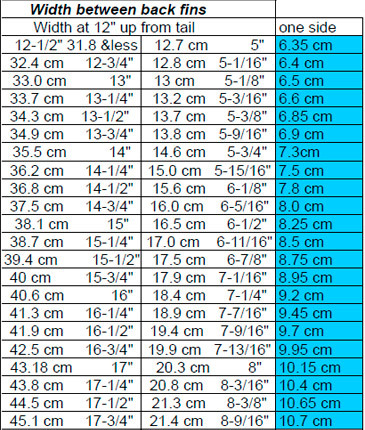 Search for the happy medium. 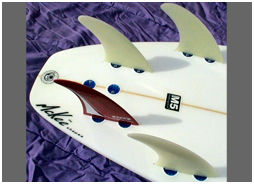 Mckee’s ‘Width between back fins’ formula, is calculated to give the most fluid and redirectional interchange between turns while maintaining drive, eliminating tracking, rail grab and the need for baby back fins, all associated with having fins too close to the rail. 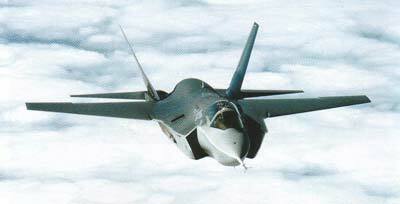 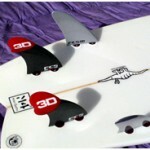 In the past l have placed fins in hundreds of different positions all over the tail. 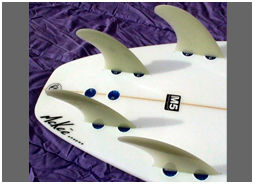 For the ‘M4Quattro’ purist, the ‘Mckee M5 Multisystem’ is just a security blanket or like training wheels because for them the ‘Thruster’s’ central fin is obsolete. 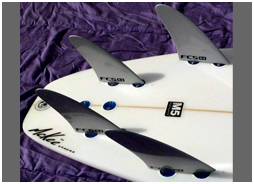 The quad cluster can be moved forward to loosen up a board and for shapers of custom boards, many compensations can be made for weaker riders or for special needs such as looser guns but with the advantage of not losing drive. 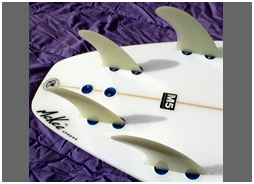 Although taken off the current formula there is the shapers option to move the cluster at any amount not exceeding the stupidity level. 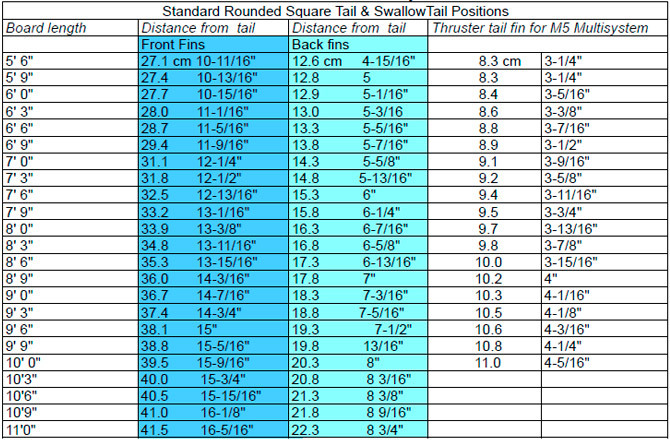 I personally had great results on pintails by moving the positions forward up to 2cm or ¾” forward. 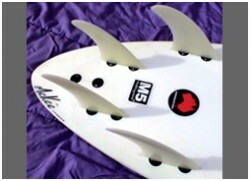 The videos of Tom Carroll in Hawaii are examples of the result of these positions — The variations are limitless! 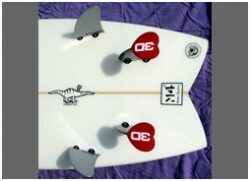 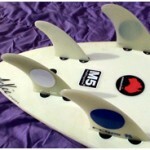 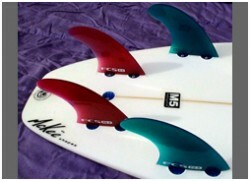 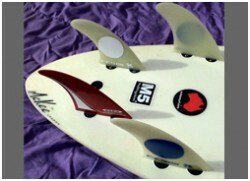 Assymmetrical fin mixes are the key to customising the board to the wave. 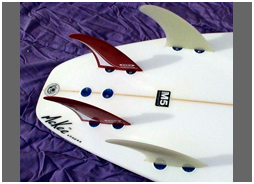 Each side of the board acts independently. 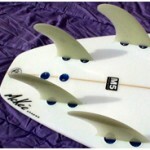 Test! 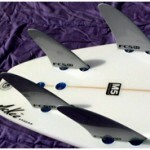 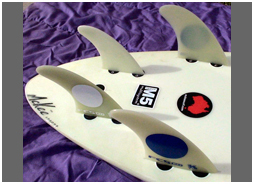 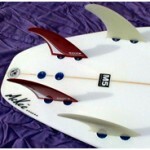 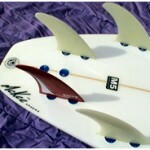 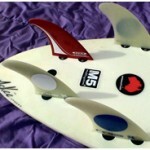 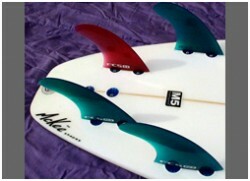 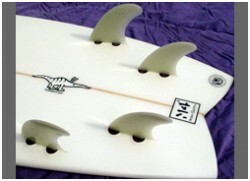 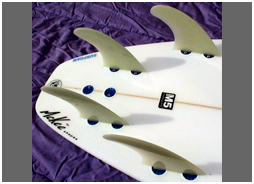 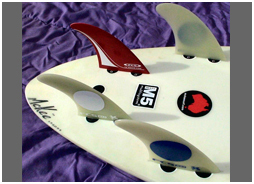 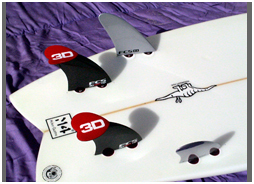 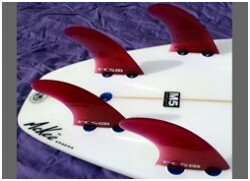 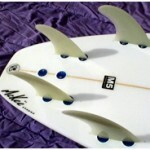 Extreme differences between front and back fins ie; size and flex, may give extreme results. 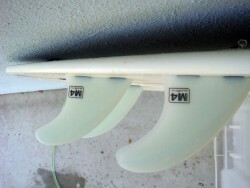 Closer the type, more neutral the feel. 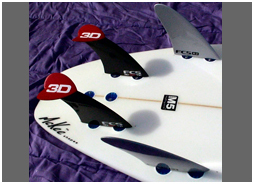 The Mckee M4 Quattro and McKee M5 Multisystem names and fin formulas are subject to trademark and copywrite laws.